A Lot of Big Sparkle in this Ring. .70 Carats of Sparkling Round Brilliant Diamonds Can Be Seen From Across the Room! 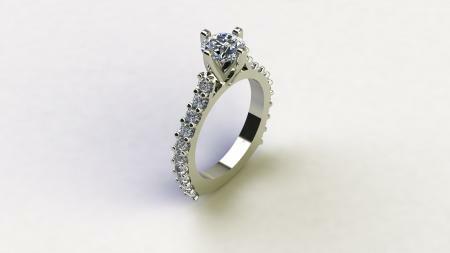 The European Shank Helps the Ring Stay Upright as Well as Very Comfortable to Wear.